Kellie C. Leeson leads the Refugee Self-Reliance Initiative with RefugePoint and the Women’s Refugee Commission. She has over fifteen years of experience working in East and West Africa, Latin America and Russia designing and leading health, education, and livelihoods programs for the displaced. She served as Country Director for Kenya and Deputy Regional Director for East Africa with the International Rescue Committee (IRC), and as Managing Director of New York University’s Development Research Institute. She has also held advisory and management positions with Concern Worldwide and the American Institutes for Research. Kellie was the initiator and architect of IRC’s urban refugee initiative where she developed urban programs, partnerships and platforms and presented widely on the topic. Kellie’s work with urban refugees led to her current interest in self-reliance, including co-creating the Well-Being and Adjustment Index and co-founding the Self-Reliance Initiative. She holds a Bachelor of Arts from the University of North Carolina, Chapel Hill and a Master of Arts from Teachers College, Columbia University. Amy Slaughter serves as the Chief Strategy Officer of RefugePoint and the founding Co-Chair of the Refugee Self-Reliance Initiative. Over a 25 year career, Amy has worked and consulted for numerous refugee NGOs as well as UNHCR and the International Organization for Migration (IOM), holding both headquarters and field-based positions. She has worked on African, Balkan and Middle East refugee crises, has directed overseas refugee processing programs for U.S. State Department contractors, and has overseen nationwide reception and integration programs for refugees resettling to the U.S. Since joining RefugePoint in 2008, Amy has been involved in self-reliance program design for its office in Nairobi, Kenya. She was a recipient of the 2018 Social Entrepreneur of the Year Award by the Schwab Foundation for Social Entrepreneurship and is on the steering committee of the Refugee Investment Network. 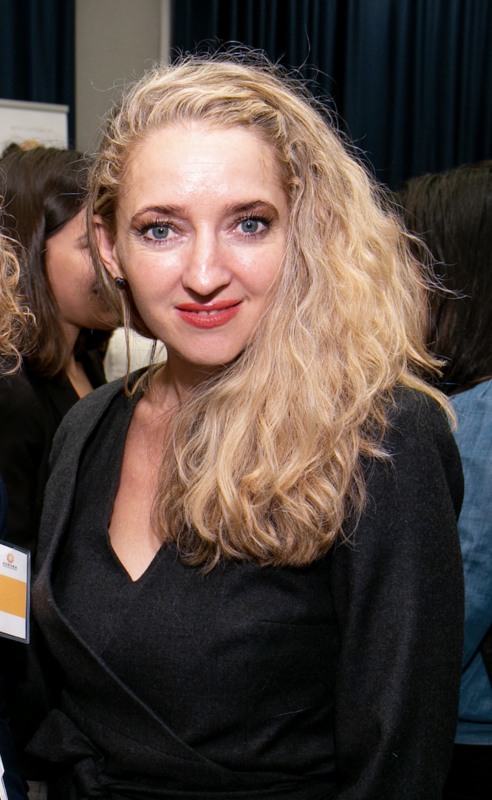 With a Master’s degree in human rights from Columbia University and a Bachelor’s in English from the University of Florida, Amy is a frequent panelist at refugee conferences and has published several articles on refugee protection. Dale Buscher serves as the Senior Director for Programs of the Women's Refugee Commission, overseeing its programs related to protection (livelihoods, disabilities, displaced out-of-school youth, gender), reproductive health, detention and asylum. He is a founding Co-Chair of the Refugee Self-Reliance Initiative. Dale has been working in the refugee assistance field since 1988 in a variety of capacities. He worked with Vietnamese boat people in the Philippines and later with Haitian refugees interned at Guantanamo Bay. He has worked with displaced Kurds in Northern Iraq, with Bosnian refugees in Croatia and with Kosovars in Albania and in Kosovo. He went on to work as the Director of Operations for the International Catholic Migration Commission in Geneva where he oversaw the organization’s $25 million international programs – covering 20 countries and 800 staff. He started numerous new programs for the organization, including during extended field postings in Pakistan and Afghanistan. Additionally, he has worked as a consultant for UNHCR where he wrote a field handbook entitled Operational Protection in Camps and Settlements. Dale earned his Master’s degree in Social Work from the University of Utah and earned a Bachelor of Science degree from Iowa State University. He teaches courses on refugee protection at Columbia’s School of International and Public Affairs.